Who is JJ? One of the regular contributors at Free Malaysia Today writes this fascinating piece on who exactly is JJ or Jamaluddin Jarjis. Even the best marketing plans cannot sell a tainted brand, writes Scott Ng. I would like to extend my most sincere condolences to Prime Minister Najib Abdul Razak, who lost a friend and confidante with the recent death of our former ambassador to the United States, Jamaluddin Jarjis. We often get caught up in criticising the man that we forget that, ultimately, he is, after all, a man, and anyone would be distraught over the sudden death of someone close. However, we must consider who exactly Jamaluddin Jarjis was and what the loss of this individual means for the Najib administration. Veteran journalist A Kadir Jasin claims that Jamaluddin was more than just a friend, that he was key to Najib’s entire operation. He played the role of advisor and strategist and held the “position” of Najib’s Chief of Staff, if we were to imagine the Prime Minister as a United States president. In fact, Najib’s campaign in GE13 was informed by Jamaluddin’s time as the Malaysian Ambassador to the US. One could see Najib’s attempt to establish a strong personal brand instead of relying on the Umno brand during the campaign as reflective of the American method of presidential campaigning. Considering the damaged Umno brand, it made sense to build a campaign around another brand, but in this case it ultimately backfired and BN lost the popular vote in the general election. The “I Love PM” and “Najib is my PM” freebies could not overcome the sentiment that Najib was ineffectual. It turned out that betting on Jamaluddin’s strategy was a mistake. It may be impolite to speak ill of the dead, but Jamaluddin failed. The Najib brand is just as tainted as the Umno brand, and building another campaign around him would lead to similarly disastrous consequences come the next GE. To Jamaluddin’s credit, Najib’s damaged brand was not his fault per se. It was Najib’s own inability to connect with the people and inspire confidence that led to the campaign’s failure, and no amount of propaganda and marketing was going to erase the bitter tang of the Najib stewardship of this country. 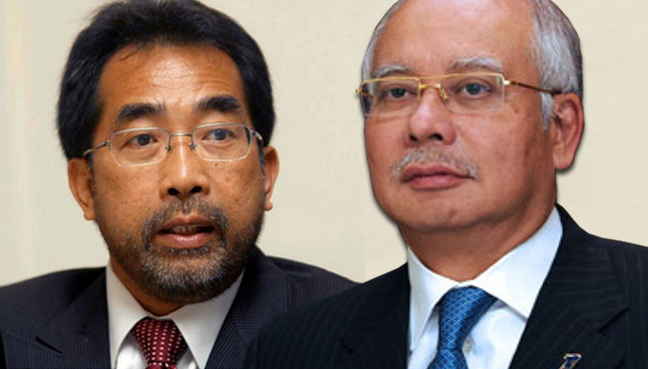 So what comes next now that Najib has lost his closest confidante and the man behind the power? It’s clear that the Najib brand cannot win elections, and if he survives the current onslaught by Mahathir, he must regroup and figure out exactly how he’s going to win an election with public sentiment against him, what with the 1MDB scandal, the strengthening of the Sedition Act, the introduction of the POTA, the revelation that there were hidden hands in the Altantuya murder, and so much more. In fact, those obstacles seem almost insurmountable, and no sane PR company would accept the job of trying to make our PM look good. One would be hard pressed to find positives from Najib’s reign thus far, and rehashing his campaign would be the biggest mistake he could make. Sure, everyone craves stability, but Najib’s administration thus far has been anything but. Therein lie the inherent risks in undertaking an American-style presidential campaign and building upon a personal brand. Barack Obama himself knows that his campaign in 2008 contributed to the disillusionment of the American people, and Najib should have realised this much earlier. Obama swept into power on his message of “Hope” because he was a new, fresh face untainted by the politics of Washington, and the campaign painted him as a symbol of a better America. The message was strong because Obama was not yet part of the establishment. That’s why his campaign strategy could not be used by Najib, who is the very definition of an establishment figure. As the son of a former Prime Minister, Najib has lived a life of privilege, while Obama came from humble beginnings. He was rasied by a single hard working mother. His father was nowhere to be found. From those beginnings, he rose to the highest office in his land, and that is why Najib’s story cannot inspire us like Obama’s has. One also must remember that campaigns like Obama’s carries a heavy weight of responsibility, and Obama is now paying for over-promising and under-delivering. His approval ratings are low and the people are clamouring for him to leave the office already. Najib’s decision to emulate that campaign assured that he would fail from the start because he cannot live up to the promises made on the campaign trail. He failed to consider the fallout that comes from conducting such a campaign, and Jamaluddin must take some of the blame considering that he would have witnessed the backlash against Obama. It is clear that the Prime Minister needs to learn from his failings. Jamaluddin may have been an important part of his administration, but his ideals and concepts ultimately failed and helped contribute to the soiled image of the Prime Minister. Perhaps it is high time for Najib to listen to the people instead of special advisors with big ideas.